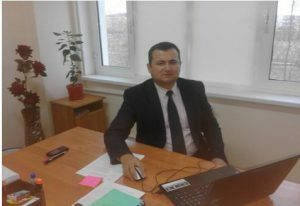 According to the new structure of the Karakalpak State University from August 29, 2014, approved by the Ministry of Higher and Secondary Special Education and the decree №1/8.1. of Scientific Council from August 30, 2014 the faculty of foreign languages was founded on the basis of English Philology, German Philology, Russian Philology and Department of Foreign Languages, which were part of the former Faculty of Philology. Today, there are 5 departments: English Language and Literature, German Language and Literature, Russian Language and Literature, Theory and Practice of Translation and Department of Foreign Languages which are part of the Faculty of Foreign Languages. The faculty prepares teachers of English, German and Russian languages as well as English language translators.